A long time ago now I was part of a fansite for the Fable franchise called fable-2.com. Well, after that fell through under numerous problems I thought my days of being a Fable addict on the internet were over...until I started this blog up. Well, some of the members of the previous site have started their own little bastion of Fable dorkness in order to revive some of the passion for the game, and also to bring together another community on the scale of fable-2.com. I love the idea of fansites and the sense of community they bring, as well as the mass amount of fun you can have with like minded individuals. Check out the link here to see it for yourself, and for your future reference the site is www.fable-legacy.com. 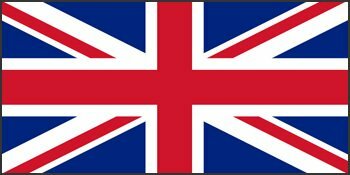 See you there, here, Lionhead forums and even in the world of Albion. Take care, and merry Christmas to everyone! Lionhead are pulling all the stops out again for the DLC at this festive time. A little late on the uptake with this post but as well as a free Santa hat to wear for this christmas period there are also a load of new dog breeds for your hero to run around Albion with. Too add to the Red Setter and Boxer that are already in the game, as well as the Boarder Collie there is now the Doberman, the Alsation and the epic Poodle...wonder if Reaver would like a poodle? Official site after the jump. Now we all love a bit of animal friendly gaming, don't we? Well Fable III has shown that the love of a faithful poochy companion is more than enough to satisfy our hearts when it comes to animals...and for their services to the world of animated dogs...they have won themselves an award! Fable II won a Proggy for Most Animal-Friendly Video Game, and Fable III is up for a Peta Libby Award with the same title! Vote for your favourite Fake Meat, Animal-Friendly Hip Hop Artist or Vegan Shoe and of course Fable -http://features.peta2.com/LibbyAwards2010/?c=p24471. 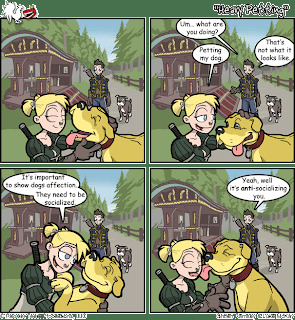 Nominated by PETA (People for the Ethical Treatment of Animals) for a Libby Award for Most Animal Friendly Game of 2010, “Fable III” captures the true spirit of camaraderie with your loyal canine companion as you adventure through Albion and rise from rebel to ruler. Well done to Lionhead Studios and let's hope they continue to win more and more awards for their games in the future! Title Update fixing the game...see below. Disclaimer: While we make every effort to include as many upcoming changes in our patch notes as possible, please be aware that some changes are unintentionally omitted. (UPDATE: Some media reported that we omitted content from the title update, this has been misreported; the comment refers to omitted from the patch notes, not the patch itself). Where possible the title update will be retroactive, meaning if you’ve already experienced the issue in your game it will now be resolved. This is not applicable to all solutions. First off I went straight to the Shooting Range to try that out, always up for challenge me. 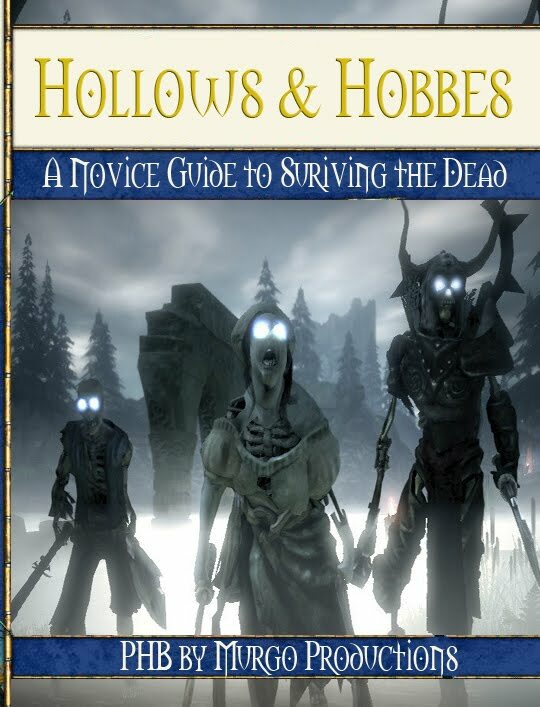 The introduction to the area is fairly comical and reminded me of the introduction that the town guard gave in Fable when you entered Bowerstone for the first time. After looking around to see if there was actually anything else to buy I popped up to the shooting range to try my luck. Without much need for bluster I have to say that the Shooting Range was pretty damn fun. If you played Fable II then this won't be anything new too you but its fast paced and indeed rather challenging at times. It took me two tries to get my hands on the new guns on offer (The Money Maker and the Black Dragon)with a mighty 535 points...alas it wasn't enough to upgrade one of the guns but we shall give it time. The range is instantly replayable and with the other gifts you can get from setting good scores it's worth a few more tries at least. Second up was Reaver's Wheel of Misfortune. Now, since this is in Reaver's Mansion it's exactly the same take as you had when you played the Masquerade Quest. You fight waves of enemies from the spinning wheel of death while Jonathan Ross and Stephen Fry shout things at you for doing well, or awful. Again I managed to rack up a good enough score to get my hands on the two prize weapons, and I think as a piece of returnable DLC with the added ability to do so with Co-Op it's almost as much fun as going through the Crucible or the Arena in Fable II. Last but certainly not least is the quest for Understone itself. Without wanting to put too much of a spoiler in your midsts you travel down under Bowerstone to find out the mysterious source of a mechanical voice haunting a factory above the surface. The way down is typically fable, with some rather interesting combat encounters and the sense of danger mounting as you reach the end. It doesn't last all that long, so if you were hoping for a massive expansion...this isn't it. And while its a pretty sweet quest, its a little bitter sweet as you realise it's all ended too quickly. 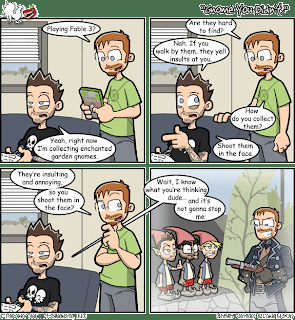 Something I think most Fable fans would feel for all the games in the series. The decision at the end however is rather important so have a think before you make it. Overall the pack is fairly well priced. It's not the longest, but its fairly interesting and gives some replay value for those who want to best their Live friends at even more Fable related content. For 400 Points you could do a lot worse, and if your a die hard Fable fan you might want to pick this up. With a fix coming soon as well, will be pretty good going. Title says it all. The Understone Quest Pack is out today for you all to buy and enjoy. Jump back into the whimsical world of “Fable III” with the all new “Understone Quest Pack,” available starting today on Xbox LIVE Marketplace for 400 Microsoft Points. 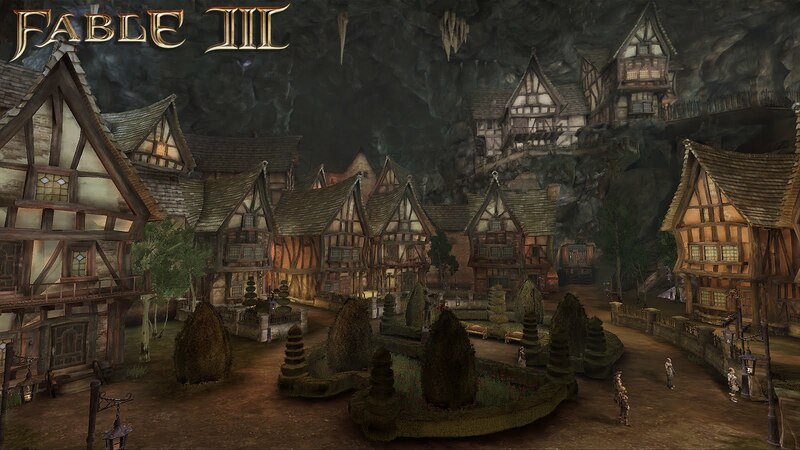 The new Game Add-on grants fans access to three unique experiences, including a journey through the mysterious town called Understone, tucked beneath the bustling streets of Bowerstone. Return back to the table top with the Orb of Magika once again and experience a new adventure in the world of Hollows & Hobbes. With the evil baron dead and the princess rescued this new module takes you deeper into the web of intrigue weaved by the awful baron and his teddy bear factory...of doom! Explore the distant area of the Afterthought Lands and find the source of the barons power, and your ultimate enemy! With new weapons and new items from The Collected Treasury of Galdo Gygaxian you can vanquish your foes in fantastic new ways...and see if you can hold off against the dangerous Flaming Chickens of Doom!, a new creature for this edition of the game!" Would basically be set up in Bowerstone where the table is and would have a set of adventures you could do with different ending rewards. Some could be joke rewards and others could be serious...but would be more funny to have joke ones. Maybe could bring back The Frying Pan +1 which would be upgraded from 1) Eating Food 2) Making Pies and 3) Beating up Hobbes who would steal your dinner! Would also maybe have a similar set up to Reavers wheel of death where you could go back into the room where you pull the lever surrounded by arrows and would send random mobs of enemies at you, defeat them in the time limit etc and would get odd bonuses as you played. Note: This is not DLC...this is purely an idea. A pretty impressive AMV for Fable III I found today. Watch it and like, good effort. Link to the Youtube page. 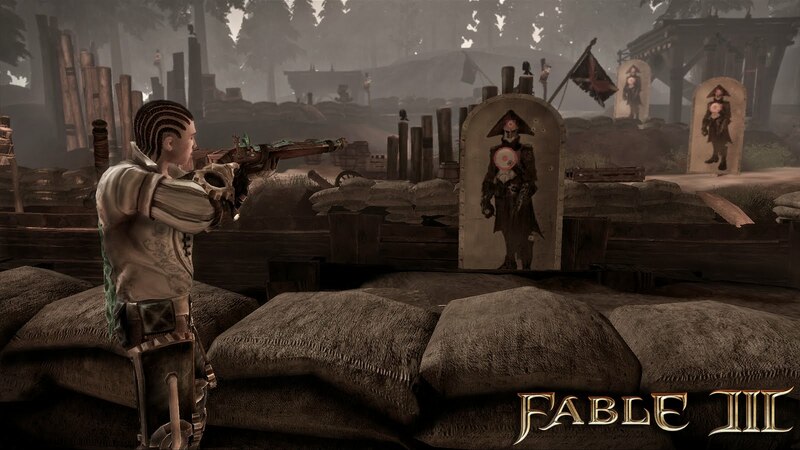 We haven’t forgotten about anyone yet, with yesterday’s announcement of the first add-on pack for Fable III, I just want to remind everyone that the title update is still coming and we’re currently aiming for this to be available approximately around the same time as the DLC. I'd love to be able to give you the entire list of fixes, but I can't do that until we get a firmly fixed release date for it. So please stay tuned and enjoy Albion (and Aurora). And Sam delivers. A fix soon. 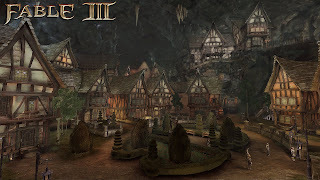 Enjoy the GT Accolades trailer for Fable III. 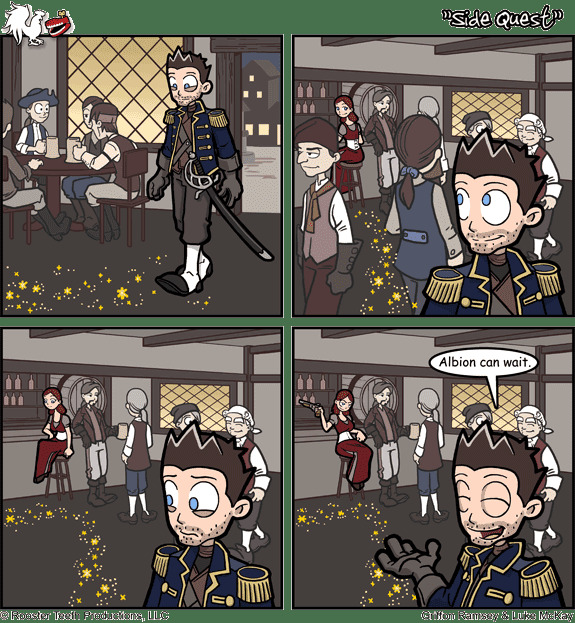 ...now get back to chasing the maids and making gold from fetch quests! 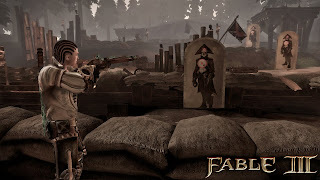 On the heels of the triumphant Oct. 26 launch of “Fable III,” fans who crave even more action and adventure will revel in the all new “Fable III” Understone Quest Pack. Available on Nov. 23 on Xbox LIVE Marketplace for 400 Microsoft Points, the new Game Add-on introduces three unique quests to continue expanding the world of Albion. In celebration of the global launch of “Fable III,” Lionhead Studios also released the latest gameplay trailer, which captures the magic of revolution as you decide whether it’ll be happily ever after (or not) in the world of “Fable III.” Hailed as “a must-play for fans of adventure” and an “enormously rich experience,” “Fable III” is a must-have game this holiday season. View the trailer at xbox.com/fable3. Features a moral decision that will lead to two drastically different outcomes in Understone. Also available for purchase on Nov. 23 are the Exclusive Hair Pack (160 Microsoft Points) with corn rows, afro and asymmetrical bob styles and the 5 Star Dog Potion (80 Microsoft Points) that gives your canine companion the full 5-star ability for digging, diving and tracking down hidden chests right from the start. Fans in search of more creative and immediate ways to customize their heroes are in luck! Available starting tomorrow, on Nov. 9 exclusively on Xbox LIVE Marketplace, you’ll be able to tailor your righteous or wicked ruler with the Reaver Industries Hero Outfit (160 Microsoft Points) and a colorful Dye Pack (80 Microsoft Points) that icludes black, cream, hot pink and turquoise that will make your hero the talk of Albion. Concept art is fantastic, and even more so for Fable it seems. Just can't get enough of the inspiring artwork for the game series, and I know a lot of other people can't either. So here is a nice big chunk of artwork I found from off the internet for you all to enjoy. Enjoy, and click to get bigger sizes of course. 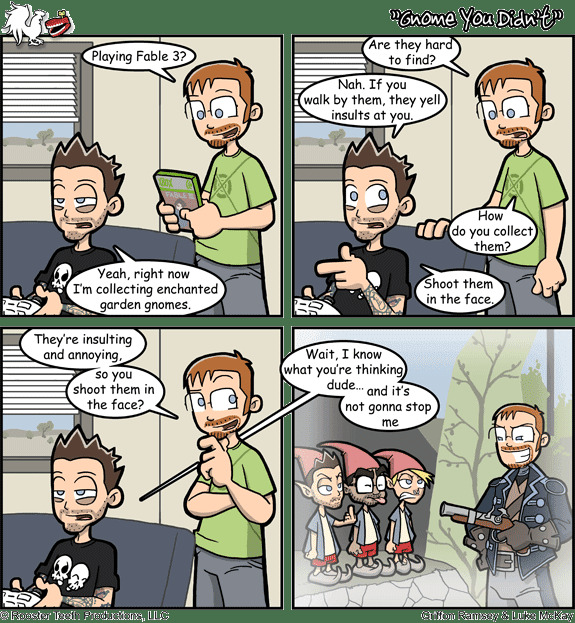 Rooster Teeth are sure loving their Fable playing if these comics are anything to go by! Check them out below and don't forget to look at their homepage linked at the bottom for some awesome videos. They have a very funny 'Fails of the Week' coming every Friday from Halo: Reach submitted videos...very cool. Home Page...check it out, or Sarge will get you.